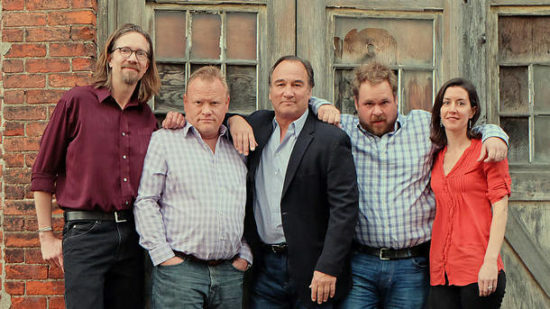 Treat yourself to a night of laughs at the Ordway Center in St. Paul on Thursday, February 27th at 7:30 pm where you can see Jim Belushi & The Board of Comedy in an improvised comedy sketch show. I personally LOVE watching improv…not participating in it, but watching it. It amazes me how quickly the actors can come up with hilarious material! Tickets are available for $33 – $38 via Goldstar, plus service fees of $6 – $6.50 per ticket. These tickets are normally $58 – $68, plus service fees of $9 per ticket. YOWZA. Improv comedy is in Jim Belushi’s blood. Not only is he the brother of legendary Animal House star John Belushi, but he’s spent more than 30 years honing his craft as a comic performer — first as a student at Chicago’s renowned Second City theater and then as a cast member of Saturday Night Live. And that’s to say nothing of his hit sitcom According to Jim, in which Belushi starred in 182 episodes while also executive producing, composing music and occasionally directing. Now, this comedy veteran comes to Saint Paul’s Ordway Center for the Performing Arts to do what he does best: make a room full of people laugh until they cry. Jim Belushi & The Board of Comedy stars Belushi and three professional touring improvisers — Megan Grano, Larry Joe Campbell and Joshua Funk — whose quick wits and chemistry make for an unpredictable evening of comedy.